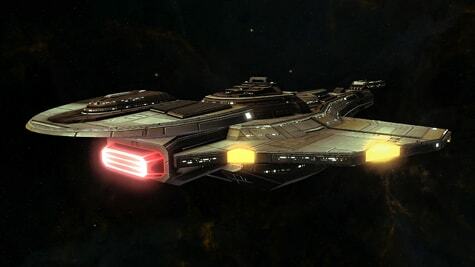 One of the rewards available from the Cardassian Lock Box is the Cardassian Galor Class Cruiser. This starship offers a unique flavor of play to cruiser combat for both Federation and Klingon factions. It also offers a unique weapon called a Spiral Wave Disruptor. This starship and its unique weaponry are certain to be in high demand for the impending re-ignition of war with the Dominion forces. Spiral Wave Disruptor Arrays scale with your level and may be equipped on any starship. Make sure to take a look at our Cardassian Lock Box FAQ here.